It may not be Christmas yet but I’ve already broken out the sequins. When you’re invited to an event that says cocktail dress code you just HAVE to get the sparkle on, don’t you?! 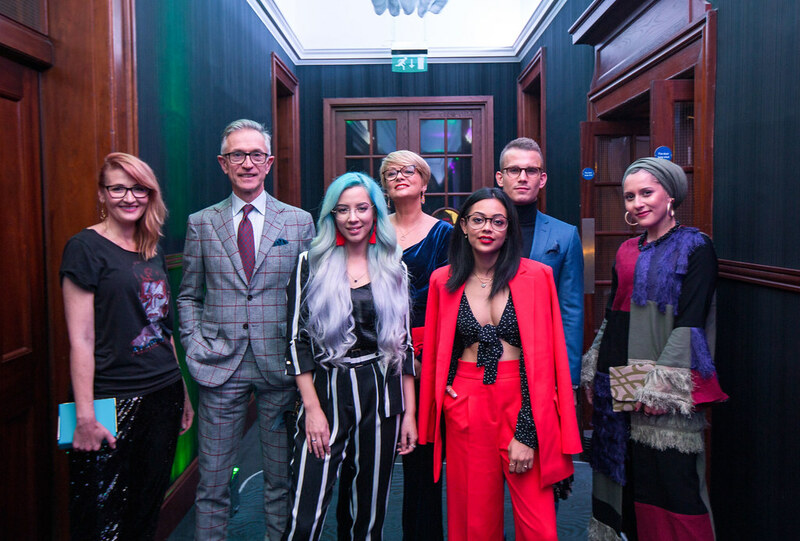 Last week I went to the Specsavers Spectacle Wearer of the Year Awards (what a mouthful – it’s often called SWOTY which is easier) as an influencer to raise awareness of the event and the money it raises for charity. 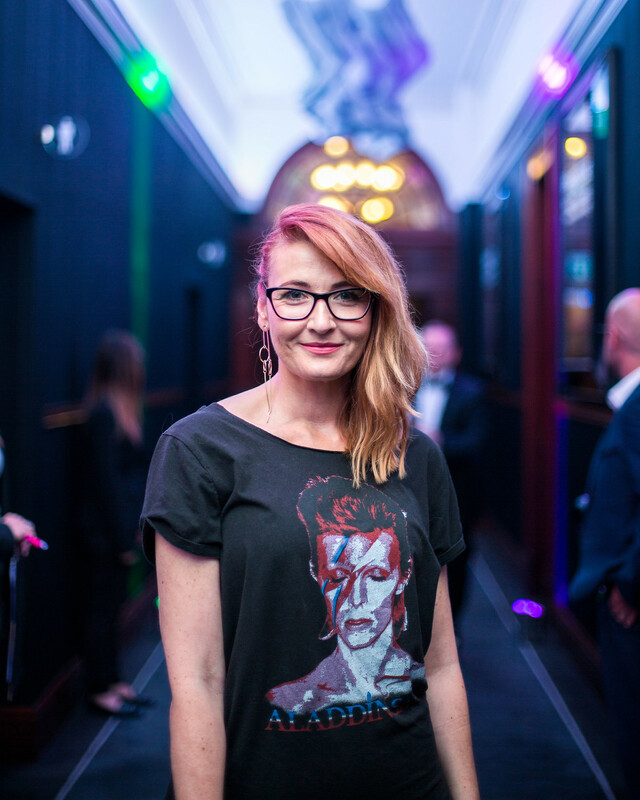 You may have seen on my Instagram feed last week that I was there in my Bowie t-shirt and sequinned trousers, feeling more than a little rock and roll…! I attended last year as well and went for a vintage dress that time – this year I thought I’d go for (almost) head-to-toe black which isn’t like me at all! As I often say when asked about not wearing black I say that I often go for black for a nighttime event… maybe it’s something to do with me wanting to reflect the happy, positive vibes you get from daylight rather than sucking the life out it with black? Who knows. Aaaanyway the sequinned trousers are so fabulous (JD Williams again, and like last week’s floral midi dress act fast if you want a pair) and they went so well with my newest heels purchases: orange Aldo pointed heels. They’re sold out now but these Asos heels are almost the same (I thought it was about time I had some orange in my shoe arsenal). Another punch of bright colour with the turquoise clutch (old – similar), some gold asymmetric earrings and a side-swept, braided-at-the-back messy hairdo and I felt suitably rock n roll enough for a celeb-filled bash. 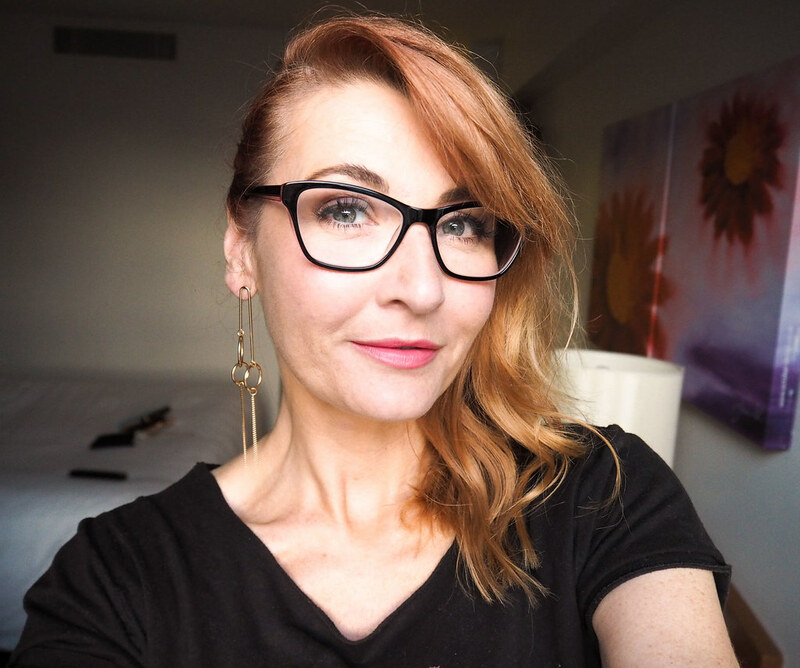 I’ve featured a few shots that were taken on the night – a bit of a mish-mash of selfies, photos taken by the event photographer and casual outfit shots taken by my O40Co pal Nikki (who was also invited… we had so much fun). 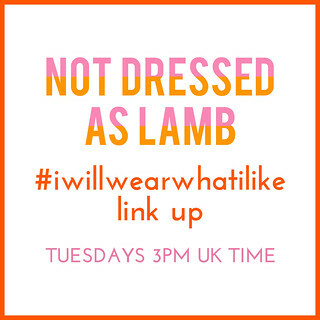 It was quite nice not to have to worry about getting perfect outfit shots for a change, I thought I’d just go with whatever I could scramble together for today’s #iwillwearwhatilike – turns out the photos aren’t that bad at all! 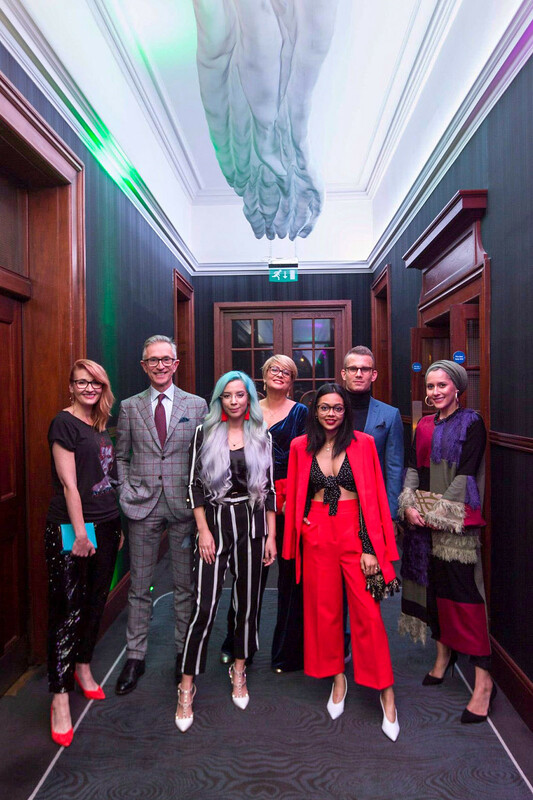 The influencers, from left to right: Me, David of Grey Fox, Leanne Lim Walker, Nikki of Midlifechic, Helina of It’s Lina Mar, Charlie of Man About Town, Dina Tokio. IT’S GREAT TO SEE THE POWER INFLUENCERS HAVE GET STRONGER EVERY YEAR AND THAT IT’S BEING RECOGNISED BY FORWARD-THINKING BRANDS. I absolutely LOVE the shot above of all the influencers together (I’ve named them underneath). At the event last year there were only three of us – this year as you can see there were seven (including three over 40s, hurrah for us oldies)! It’s great to see the power influencers have get stronger every year and that it’s being recognised by forward-thinking brands. SWOTY raises money for Kidscape, an anti-bullying charity – so it’s vital that we cover these sorts of events… I was really proud to be part of it. As well as the £120,000 that was raised on the night in the luxury prize draw raffle, £1 is donated to Kidscape for every selfie entry (for SWOTY) that people send in. We had SUCH a fun evening. 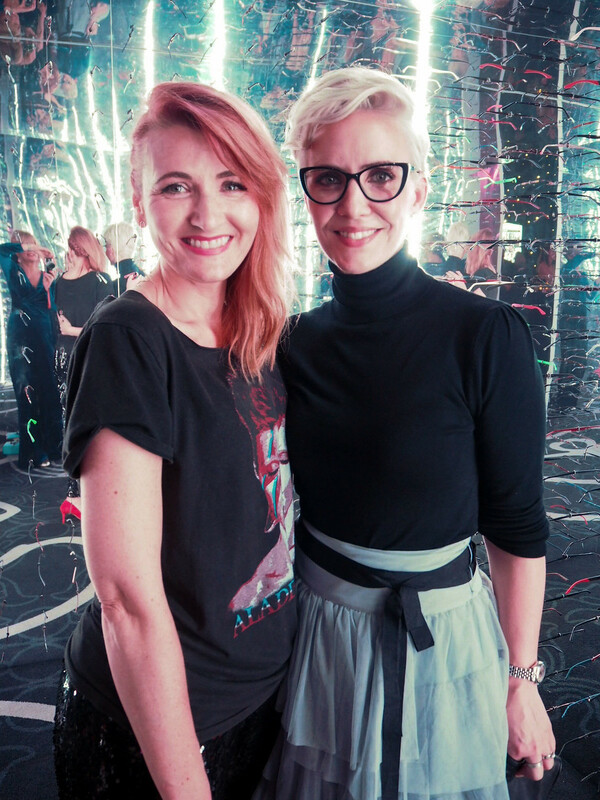 It’s always great to meet new and interesting people – especially other bloggers like David who I’ve known online for a while – and my new best friend is now Claire from Steps  (see below). She’s cut her hair off and bleached it white blonde: Many of us had been admiring this stunning woman on the table next to us and no one recognised her for ages. Both Nikki and I asked for our photos with her and she couldn’t have been any nicer (or more beautiful). So last year, Twiggy; this year, Claire from Steps. If Specsavers ask me back in 2018 I’ll see who I ask for a picture next time…! 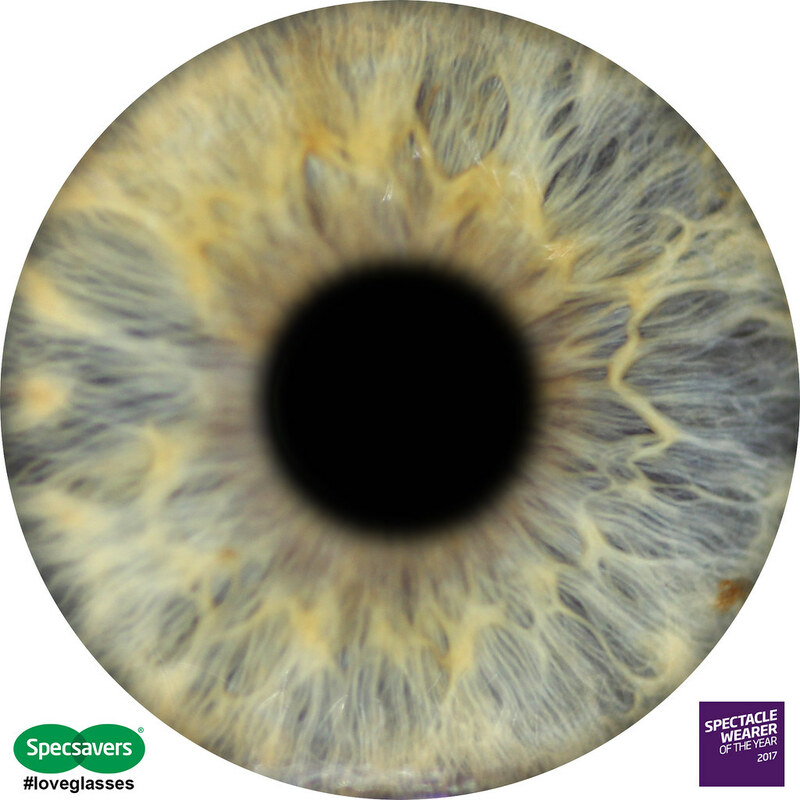 Finally: The last picture I’ve added is so interesting – it’s a close up of my iris that was taken by EYECONArtists. It was just a bit of fun on the night and it’s fascinating to look at different eyes – my eyes are green but you can see that that’s only because my irises are a mixture of blue and yellow. Fascinating stuff, eh…? HAVE YOU BROKEN OUT THE SEQUINS YET? AND WHAT ARE YOUR VIEWS ON BRANDS USING INFLUENCERS MORE? COMMENT BELOW, OR TAKE IT TO TWITTER @NOTLAMB! 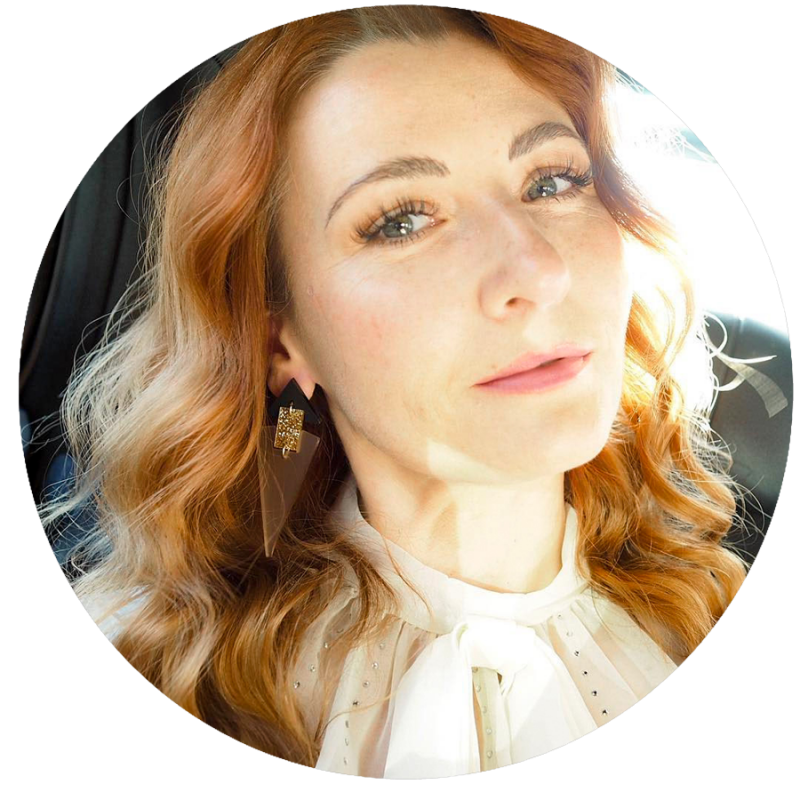 Disclosure: I was paid to attend the event and feature it on social but this blog post was not sponsored or required by Specsavers (click here for my full disclosure). All content is original and opinions are my own and 100% honest. Love the outfit and the big eye. I do love those Bowie t-shirts! 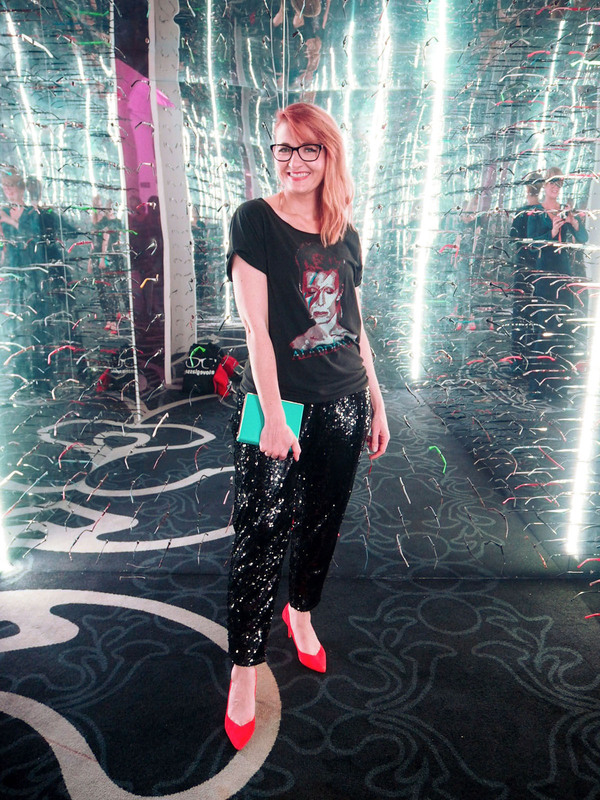 I first saw this look on your Instagram story, so I'm happy you posted it here too—love the tee with the sequin pants and especially the red heels! This is a fabulous dressing up alternative Catherine and the sequinned trousers are so well priced too. I think it's a step in the right direction for brands to use influencers more and more. These brands are making themselves more accessible, more in touch with real life by doing so. 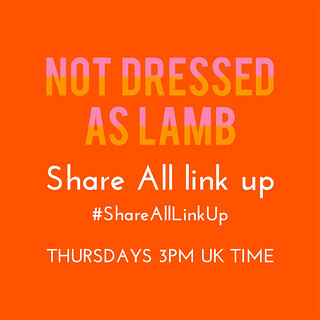 Thanks for the link up party again! What a fun look! Perfect for the occasion! I haven't gotten to wear any sequins yet this year, but I hope to soon! You outfit is super cute! 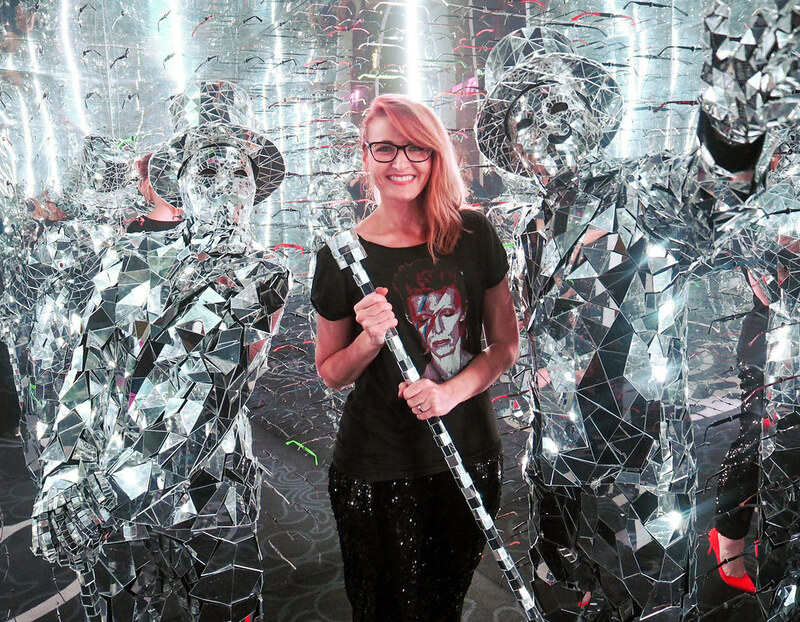 Happy to see you rocking those sequin pants! They look great with the T. And you saw David – I admire his style and follow his IG. And glad to see another man, Charlie, in there as well. Great cause. Well done. It looks like you had a great time and what sounds like a very fun party. Your choice of sequinned pants and a graphic tee was brilliant and you look fabulous. 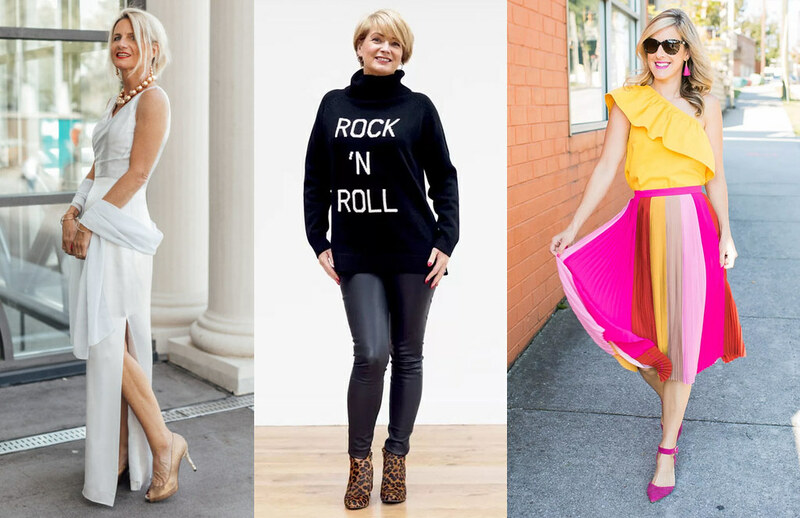 Thank you for sharing your styling inspirations and for the link up. And the photos don't do her enough justice, Emma!! thanks hon – and yes I agree about bloggers being more relatable…! Absolutely adore your sparkly trousers!!! I love your pants and the entire outfit! 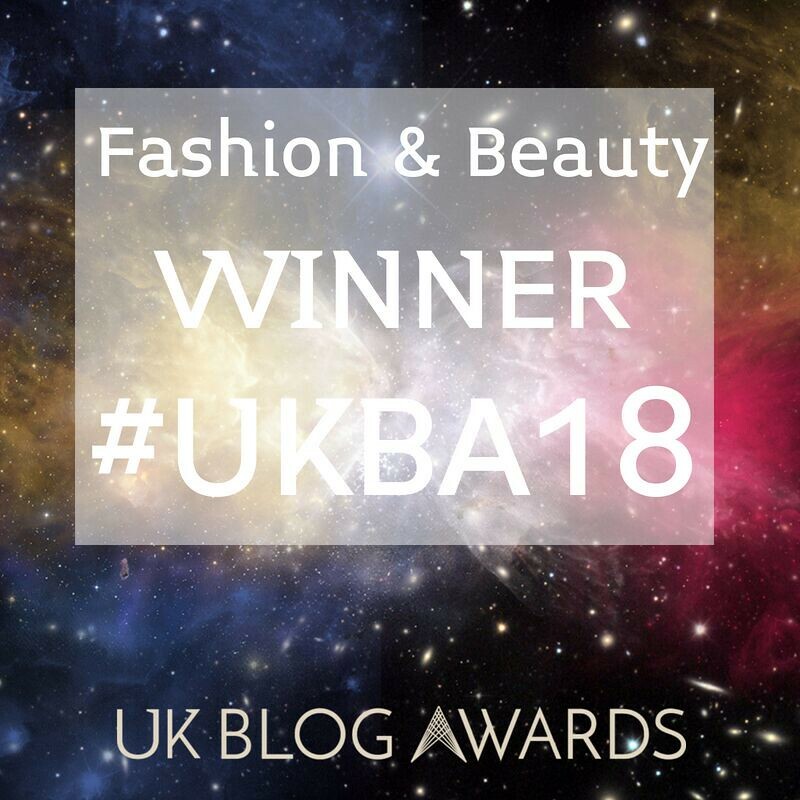 Unexpected & fabulous! Thanks for the link up & I hope your week is off to a good start! Wow, your pants are amazing! Aren't these events just so fun!! As much as I'm an introvert, it's still so refreshing to meet the people you communicate with in person!!! I bought a pair of sequin shorts a couple of years ago, and have worn them once. Maybe it's time to try them again?? WOW sequin shorts sound daring, Jodie!! Go for it!